We have a NO pet or smoking policy in our vans, thanks for respecting this. 1. Reservation Deposit: A deposit is required to make a reservation and is determined by the amount of days rented. The deposit acts as the first installment of the total rental fee due when picking up the vehicle. 2. Payments: Payment in full of all rental charges are due and payable by Lessee upon PICKUP of the vehicle. This must be paid in U.S. Dollars by cash, Travelers Check, MasterCard, Visa, American Express. There will be a 2% discount if paying in cash. Sorry, no personal checks or Diners Card can be accepted. THERE WILL BE NO REFUND OF TIME CHARGES FOR LATE PICKUP OR EARLY RETURN. 3. Cancellation Policy: All cancellations must be in writing and submitted to us via email. A $100 charge applies to all cancellations over 30 days from the date of departure. For cancellations made less than 30 days prior to the scheduled date of departure, or no shows, the reservation deposit shall be forfeited. However, if we are able to resell the cancelled dates we will refund the rental deposit less a $100 fee. 4. Security Deposit: A security deposit of $500 will be held on your credit card and is fully refundable less any damage, loss of equipment, cleaning, refueling, holding tank dumping, traffic fines, tolls, extra mileage and extra day fees. The vehicle should be returned reasonably clean, without stains on carpet or upholstery, the holding tank must be returned empty. We pride ourselves with offering very clean vans to our customers. We provide cleaning supplies in each vehicle and expect the interior to be swept/wiped down when you return. Failure to clean the interior (stove, sink, counters, floors swept, dirty dishes) will result in a additional cleaning fee depending on how dirty the vehicle is returned. A $45 fee will be charged if the vehicle is returned without emptying the holding tank on the Eurovan camper and a $75 fee will be charged for not emptying the grey or black water holding tank on the Sprinter. 5. Driving License/ Driving Age: All drivers must possess a driver license valid for the entire rental period and a valid major credit card. An international driver license is recommended for all foreign tourists. Minimum age is 21 unless you provide proof of insurance. Drivers other than the individuals listed on the rental agreement are not authorized to drive the vehicle. All authorized drivers must appear in person and must present a valid drivers’s licenses at the time of vehicle pick up. 6. Vehicle Pickup and Return: Please be aware that pick up and drop times for the vehicle must be scheduled at least a week prior to departure. Pick up and drop off times are to be scheduled between 9am- 5 pm. Rentals are based on a 24 hr rental period. The drop off time is determined by the time the vehicle is picked up. If you would like to a schedule a different drop off time, please make arrangements with us prior to your departure. The renter will be charged $25 per hour for late pick up and drop off times, the exception to this is with delayed flights. If you are going to be late, please let us know as soon as you can. 7. Mileage allowance: The rental rate includes 125 miles of travel per day. Travel above 125 per day is subject to a charge of $.35 cents per mile. Extra mileage is calculated and paid for after the van is returned. 8. Travel Restricted Areas: You may drive on paved, secondary or gravel roads, however driving off road or on 4×4 tracks is prohibited. The lessee is liable for all damages to the vehicle, tires, towing charges and other expenses as a result of driving off road. Travel into Canada is permitted. Travel into Mexico and to the Burning Man Festival is strictly prohibited. The entire security deposit will be forfeited by Lessee if there is evidence of travel into Mexico or the Burning Man Festival. 9. Restrictions: We do not allow PETS in the vehicles. SMOKING is also prohibited inside the vehicles. Evidence of smoking in the vehicle or transporting pets in the vehicle will result in a $250 cleaning fee. Towing of anything is prohibited at all times. Sitting or standing on hood or roof of vehicle is also prohibited. 10. Fuel: The fuel tank will be full at the time of pick up and must be returned full. Always re-fill with SUPREME grade (91 octane) fuel. Drop- off refueling will be charged against your security deposit at a rate of $6/ gallon. Propane is provided with your hire and will be near full upon pickup, additional propane will be the responsibility of the renter. Please follow the provided instructions in the vehicle when filling the propane tank. Renter will be liable for any damages to the propane system caused by improper filling. It is not necessary to refill the propane tank prior to bringing the van back. 11. Driving Fines/tolls: In the event there is a fine or penalty for breaking traffic laws, the renter is liable to pay the fine. 12. 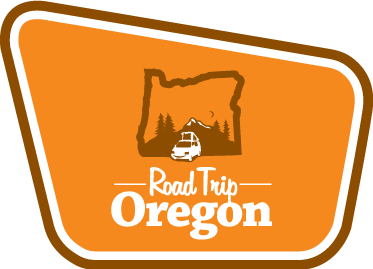 Windshield and Tire Damage: Windshield and tire damage is the responsibility of the renter and is not covered by Road Trip Oregon insurance. Repairs or replacement costs will be the responsibility of the renter. Damaged tires must be replaced by a similar rated tire for the vehicle. Wind damage to the awning is the responsibility of the renter. 13. Breakdowns and Accidents: If you experience a mechanical breakdown or are involved in an accident, we require that you contact us immediately and let us take care of the situation. Failure to contact us may result in a loss of the security deposit. In the event of a breakdown we will do our best to have the vehicle repaired in a timely manner by a repair facility nearest to the breakdown location. For breakdowns that last 24 hrs or longer, we agree to refund the daily rental rate for the amount of time the van is out of service however the renter is responsible for any lodging/trasportation/food while the rental vehicle is out of service. We will do everything we can to get the vehicle repaired in a timely manner and will try to get a replacement vehicle if we have one available and you are within a reasonable range of Portland, OR. The renter is responsible for returning the vehicle back to the original pick up location. 14. Insurance: We highly recommend contacting your personal auto insurer and getting a rider on the rental vehicle for the dates of your rental. We offer secondary liability and collision insurance coverage which is included in the rental rate. A $2500 deductible will be charged to the renters credit card in the event of an accident. The deductible will be refunded once proof of coverage from the renters insurance is given. Additional insurance is available for $18 per day that drops the insurance deductible down to $250 per accident.